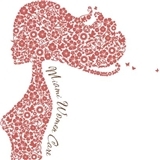 Miami Women Care (Miami) - Book Appointment Online! We strive to provide state of the art comprehensive healthcare for women in every stage of life. Our medical building offers on-site labwork, imaging, and top doctors in various specialties. Very positive experience, smooth procedure, relaxed atmosphere and communication! !